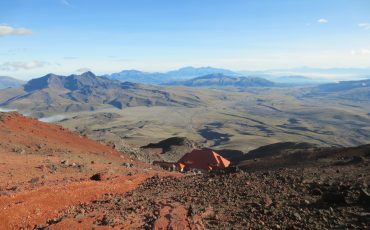 This 8-day Mountain Climbing Tour in Ecuador offers mountain climbing possibilities on the Pasochoa, Iliniza Norte and the second-highest volcano of Ecuador, the Cotopaxi Volcano, with an altitude of 5,897 meters above sea level. This tour is for the real adrenaline seekers! The first few days are for climbs with a series of non-technical acclimatization peaks, up the easier volcanoes surrounding Quito. At the end of your mountain climbing tour, you will attempt the top of one of the highest, active volcanoes in the world. 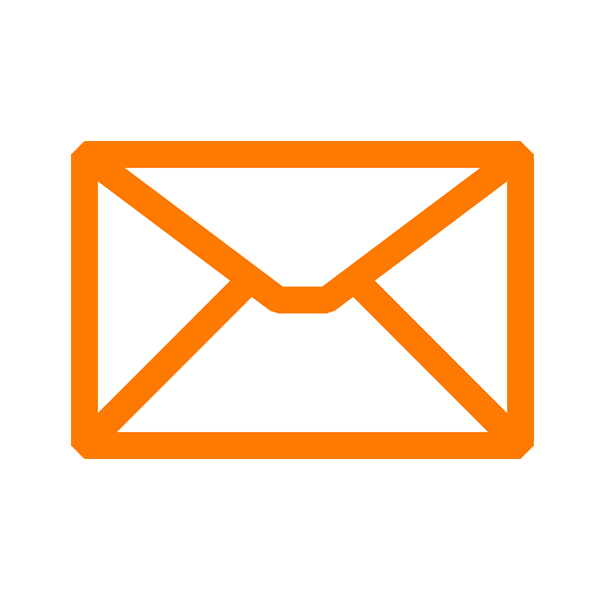 We recommend good fitness health and mountain climbing experience. After breakfast, we head out for a city tour in Quito, this way we become used to the altitude. During a walk around Quito’s old town, our guide gives us many interesting details about the historical center of Quito. 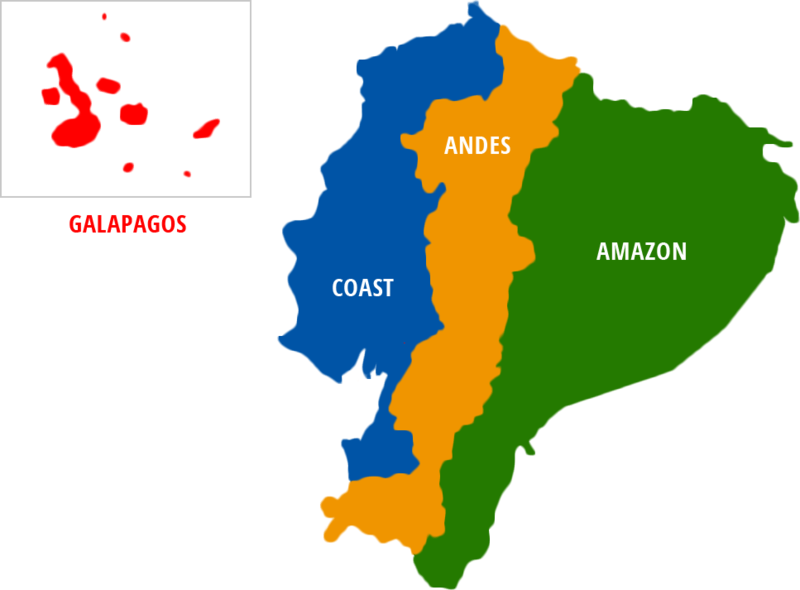 Since 1978 it is part of the UNESCO World Cultural Heritage List, as it is the best preserved historical center of Latin America. 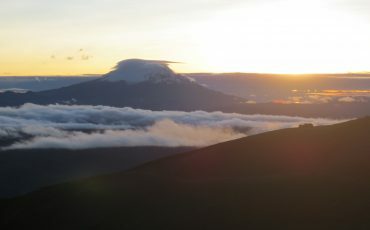 Early in the morning, we leave the capital to drive towards the Pasochoa volcano. It is an extinct volcano with a wide caldera which is sunken to the west and gives us an impressive image. With its height of 4.200 meters above sea level it is a good beginning for acclimatization for other mountain climbing hikes. 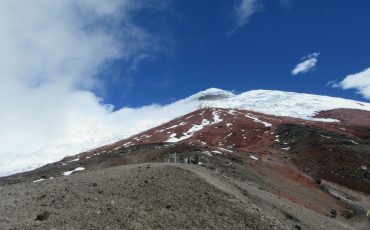 Because of its location in the middle of the Avenue of Volcanoes, it offers a great view from the top to other mountains, among others the Cayambe. Still living within the forest are pumas, foxes, skunks and many bird species. This is a perfect first hike for those who are new to altitude or those who are beginning an acclimatization program. In the late afternoon, we return to Quito. 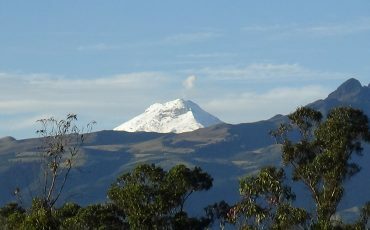 The Volcano Iliniza is located at about 60 km south-west of Quito. 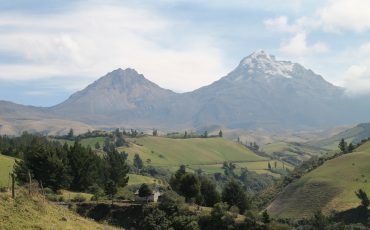 It belongs to the western Andes and offers a magnificent view over the surrounding mountains and valleys. 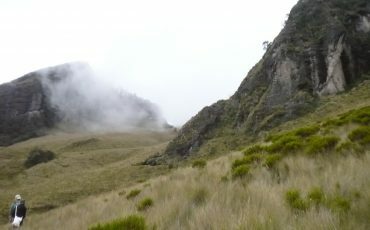 The Iliniza Norte has a summit purely made of rocks and is seldom covered by snow. Very early in the morning, we drive to “Estacion de la Virgen”, from where the mountain climbing hike starts. Get ready for a steep climb through magnificent landscape followed by an exhilarating scramble to the summit. 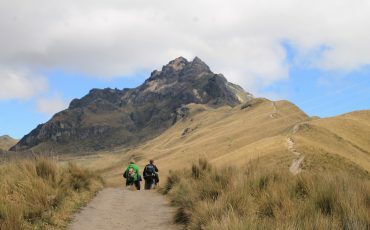 The hike up the Ilinizas Norte leads us through an amazing landscape called Páramo, the name for Ecuadorian steppe, filled with blooming shrubs and thorny bushes. It takes about 4-5 hours up and 2 hours to descend back down. After the hike, you will head to a typical hacienda to finish the day. 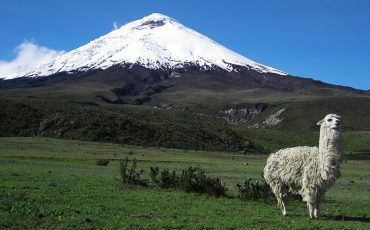 After a leisurely breakfast, we head to the Cotopaxi National park. On our way we can stop at the Limpiopungo Lagoon to take some photos, before we reach the parking lot and hike for another hour up to the José Rivas Refugee at 4,800 meters above sea level. The afternoon we spend practicing the glacier skills needed for the ascent, prior to the climb, and to train the handling of crampons, rope and ice axes. Afterwards, we go back to the mountain hut, where an early dinner will be served and we rest until midnight. At around midnight, we get up for the ascent to the summit. After breakfast and after all backpacks are packed and ready for the climb, we start around 1:00am. For the ascension, we need approximately 6 to 8 hours. 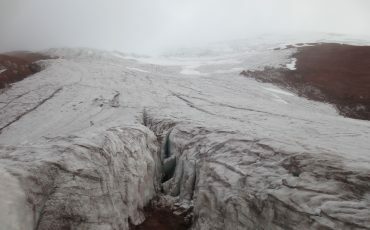 A long, initial pitch gains access to an interesting maze of crevasses on the lower slopes of this beautiful volcano. The ascent then weaves through impressive crevasse fields before ascending the final steep slopes to the summit. The deep, sheer-walled volcanic crater is an incredibly impressive sight. On top, at 5.897 m, we have enough time to take pictures and to enjoy the stunning view. After soaking in the awesome panoramic view from the second highest point in Ecuador, we descend for about 2 or 3 hours back to the hut. A short rest and we head back to Quito. In time for your flight, we will take you to the airport.